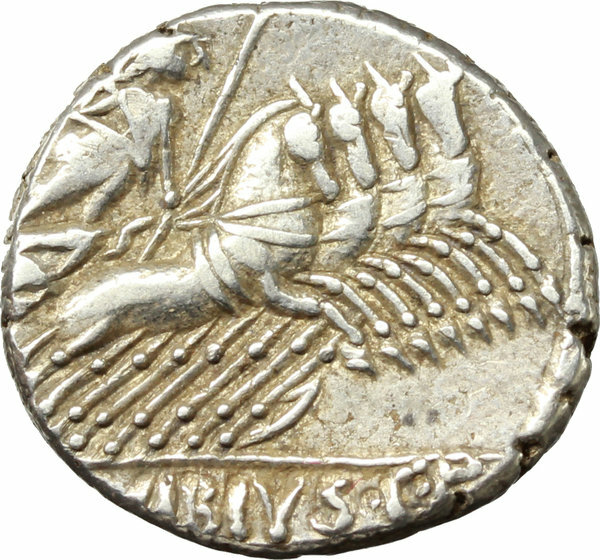 Coins 42 C. Vibius C. f. Pansa. 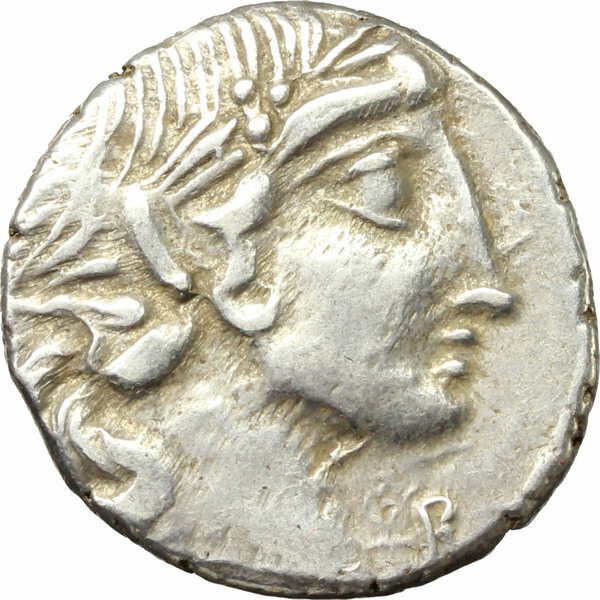 AR Denarius, 90 BC. D/ Laureate head of Apollo right; behind, [PANSA]; below chin, R. R/ Minerva in quadriga right; in exergue, C. VIBIVS C.F. Cr. 342/5b. B.2. AR. g. 3.55 mm. 16.00 Unusual style. Lightly toned. VF.